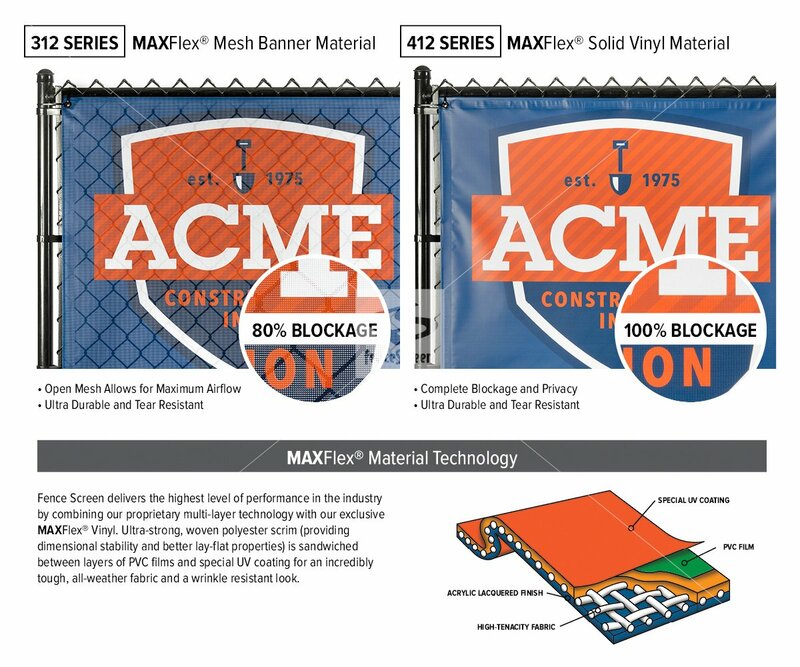 Vibrant graphics printed on high quality MAXFlex™ Mesh or Solid Vinyl outdoor fence banners. A great solution to promote your business, promotion, project or sponsors. 2 ft. 3 ft. 4 ft. 5 ft. 6 ft. 7 ft. 8 ft. 9 ft. 10 ft. 11 ft. 12 ft. 13 ft. 14 ft. 15 ft. 16 ft. 17 ft. 18 ft. 19 ft.
4 ft. 5 ft. 6 ft. 7 ft. 8 ft. 9 ft. 10 ft. 11 ft. 12 ft. 13 ft. 14 ft. 15 ft. 16 ft. 17 ft. 18 ft. 19 ft. 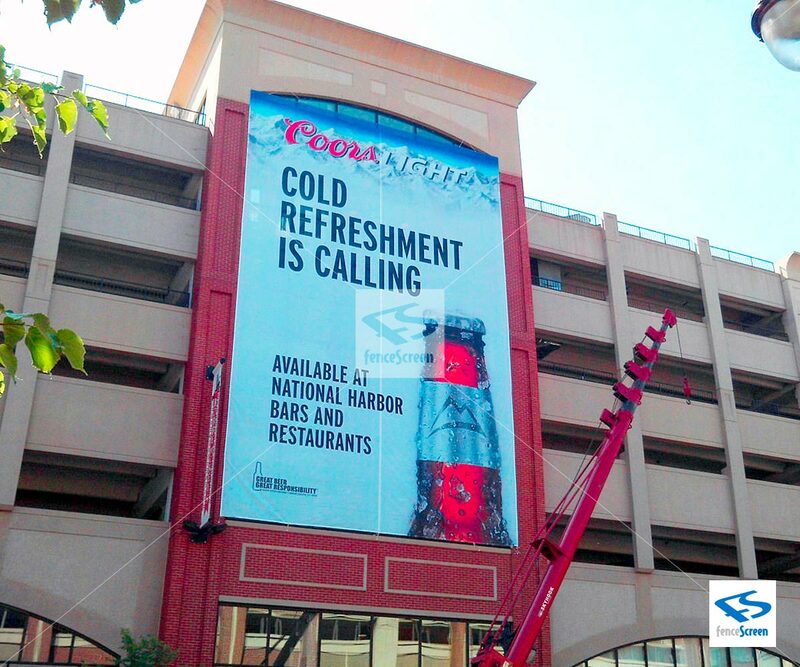 Custom Outdoor Banners & Advertising Signs. Get Noticed. 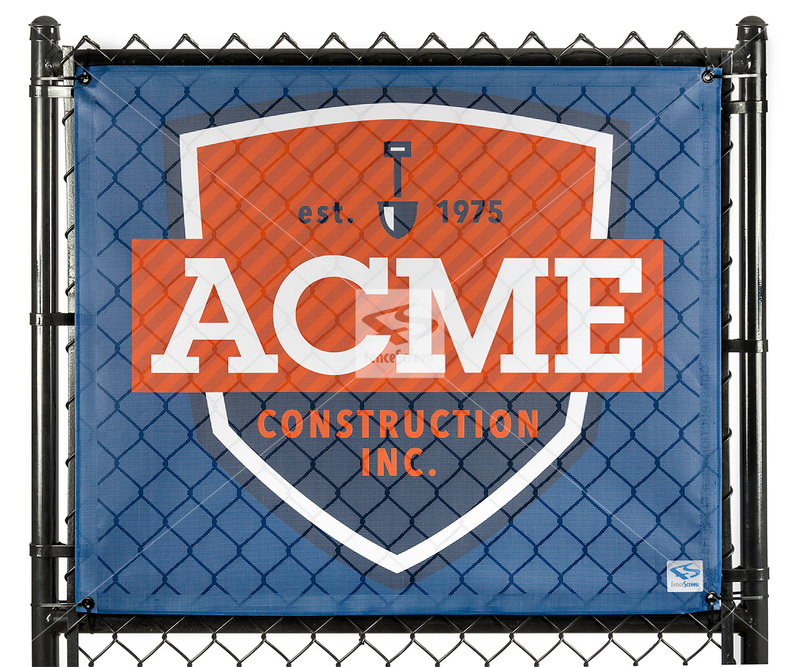 Customizing your Outdoor Fence Banner or Sign to the exact size you need is no problem. For more information, feel free to call us at 888.313.6313 for an estimate. Our outdoor fence signs look great outdoors. 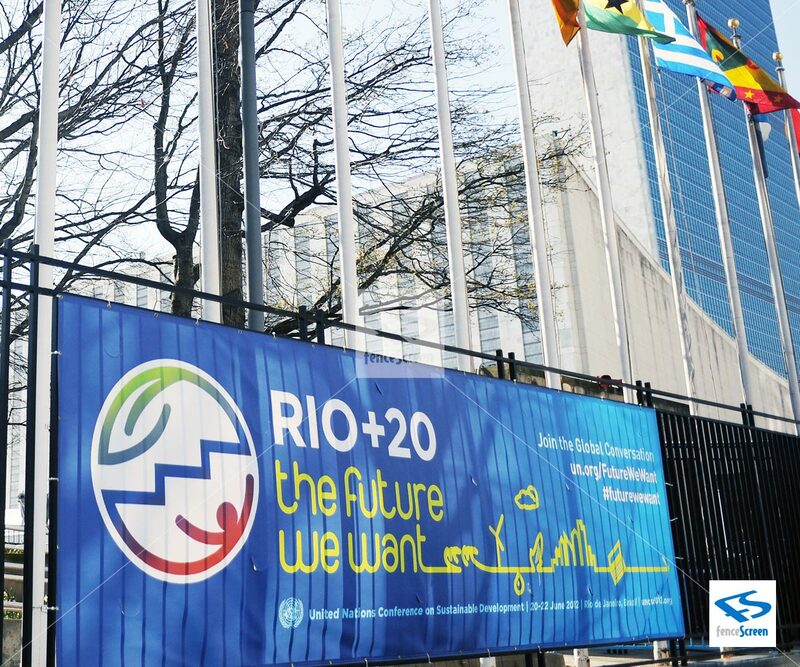 They use UV-Stabilized inks & materials so your outdoor banner or sign will stay looking great in any weather. 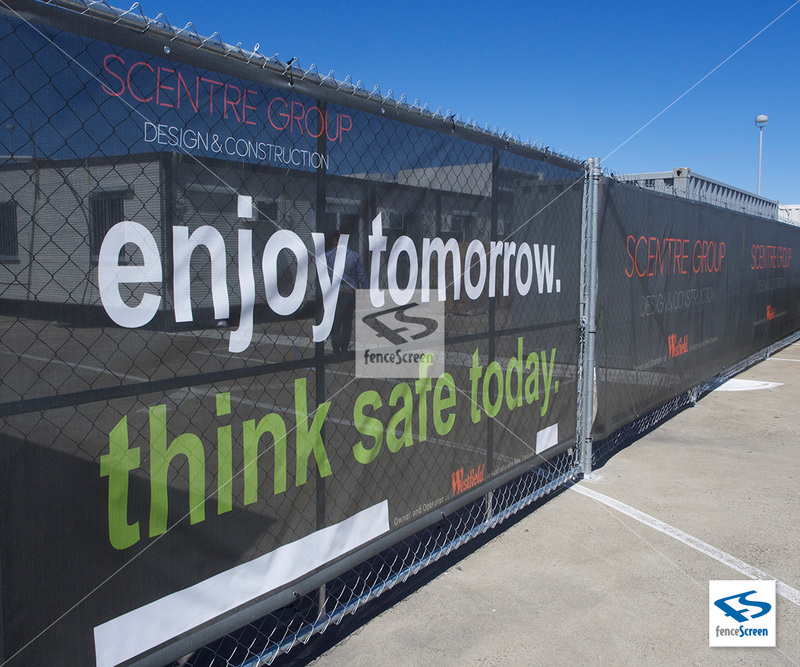 Our outdoor fence banners are printed on MAXFlex™, an exclusive line of materials and ink that is 300% more resistant to cracking, creasing, and fading than the standard. 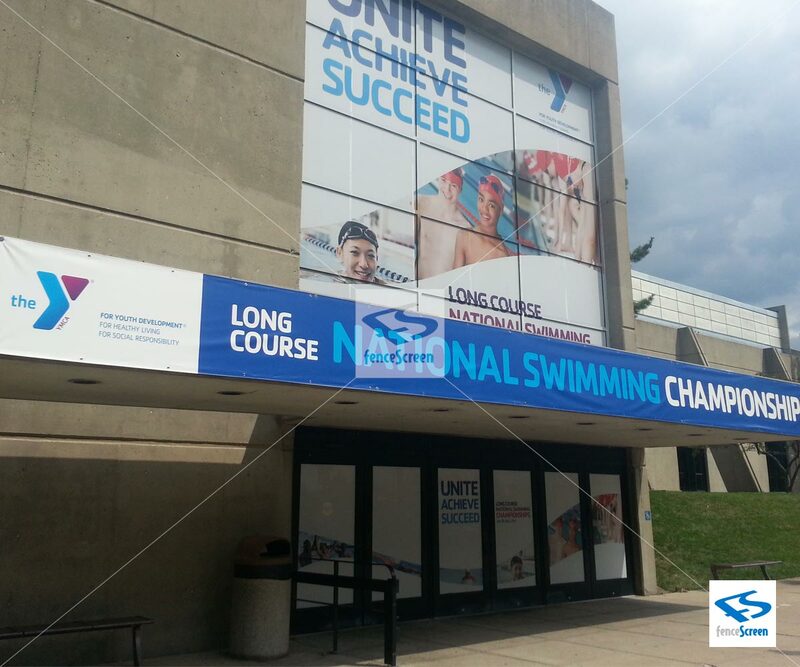 Custom outdoor banners and fence signs are the perfect way to get noticed. 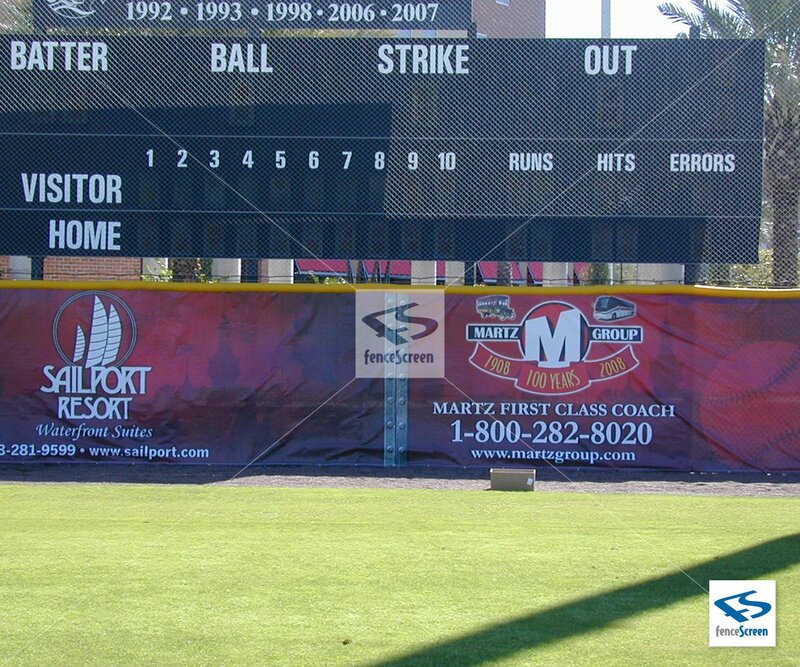 Whether you are promoting a sponsor, new product, new sport season or simply letting people know you are open for business, custom banners and signs from FenceScreen are the most effective way to do it! FenceScreen has been printing banners and signs for businesses, schools, and commercial properties since 2005, so you can be confident you are going to get a professional and quality banner. We have our art department vet at every graphic to ensure its quality then create and send a digital proof for you to sign off on. 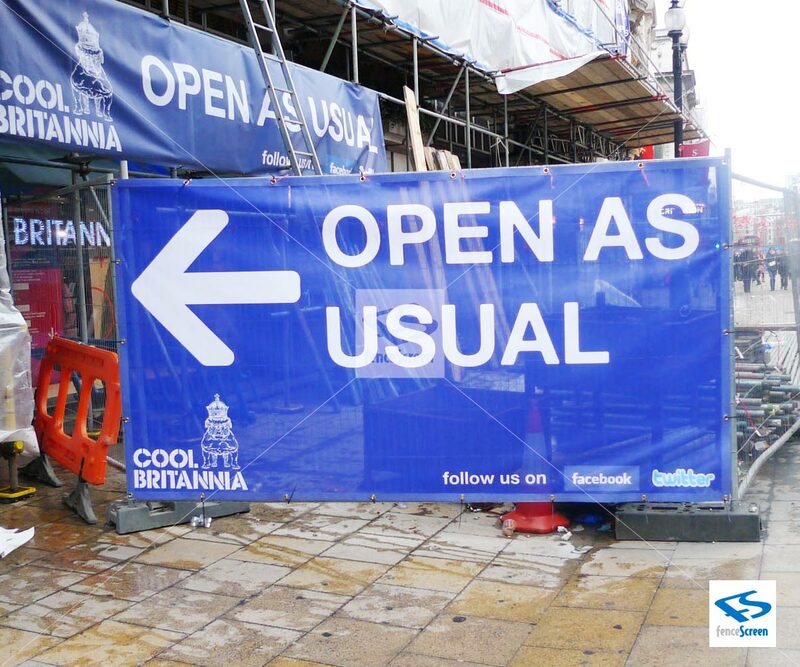 All this just to ensure you are happy with your custom outdoor banner. Choose from either solid vinyl or vinyl mesh and we will print your custom graphics edge to edge on the banner size of your choosing. 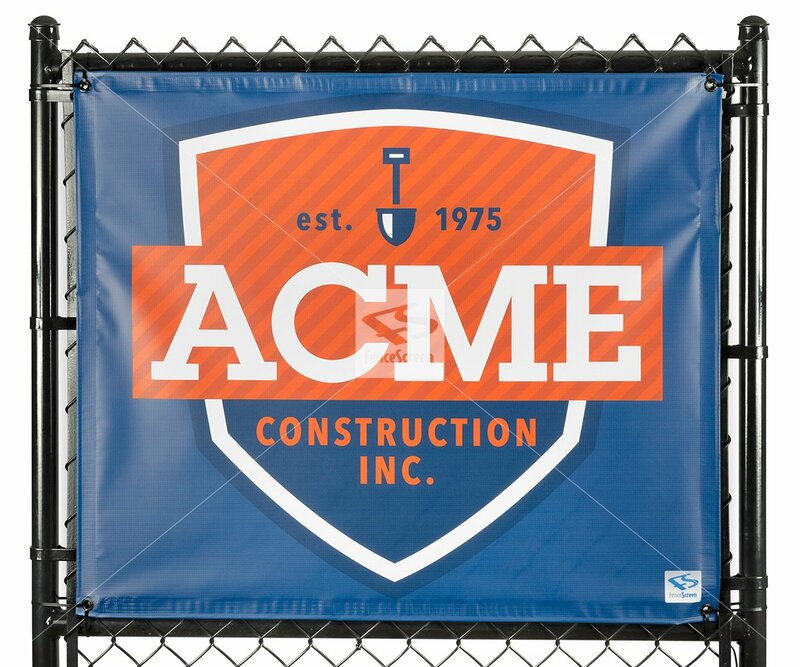 Need a custom size outdoor fence banner or sign? 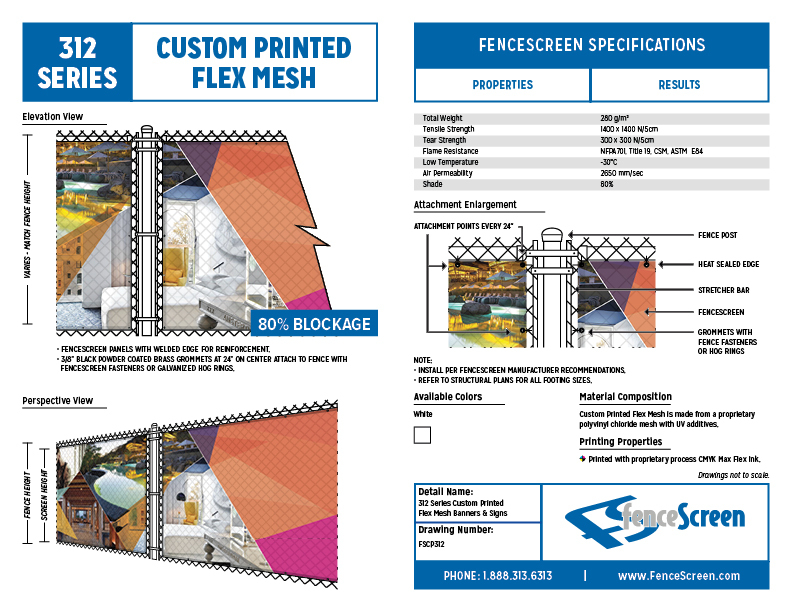 That is no problem for FenceScreen. We can create custom banners as small as 2-ft x 2-ft and as large as 20-ft x 20-ft! Every banner you buy can have its own custom graphic making them ideal for marking a school, event, promotions or new products & services.